Christen and Matt’s downtown Tampa wedding was inspired by the wedding date, which happened the be the first day of Spring. Although the groom was moved to Nashville, TN just after the proposal, the Tampa bride chose to host their wedding in the city the pair met. The couple married at South Tampa’s Bayshore Baptist Church. Afterwards, the couple celebrated 41 stories in the sky, overlooking Tampa Bay at downtown Tampa wedding venue, The Tampa Club. “The Tampa Club’s staff was very attentive to everyone’s needs, and the food was delicious!” the bride gushed. 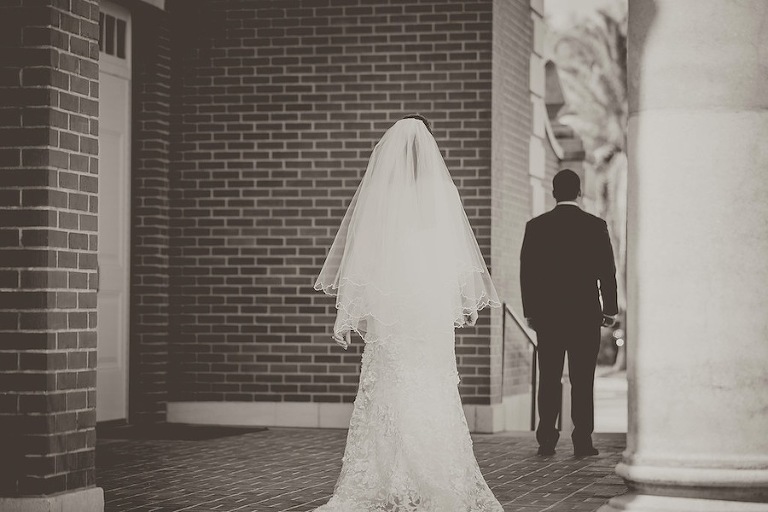 To capture every moment, Christen and Matt hired Tampa wedding photographer Kristen Marie Photography. 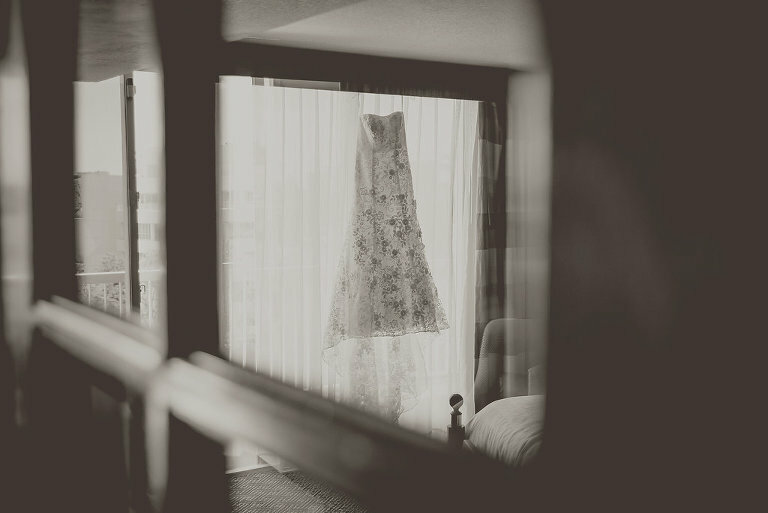 Looking back, one of the bride’s unforgettable parts of her wedding day took place before she walked down the aisle. 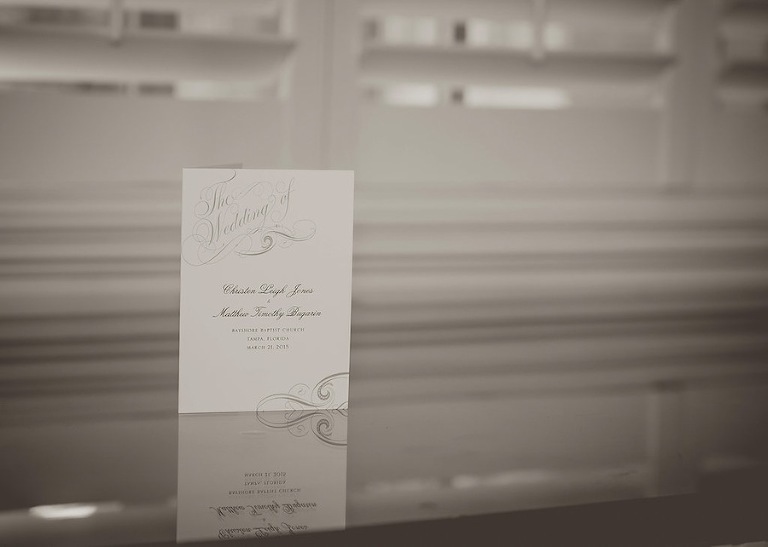 “One of our most memorable moments was our first look. 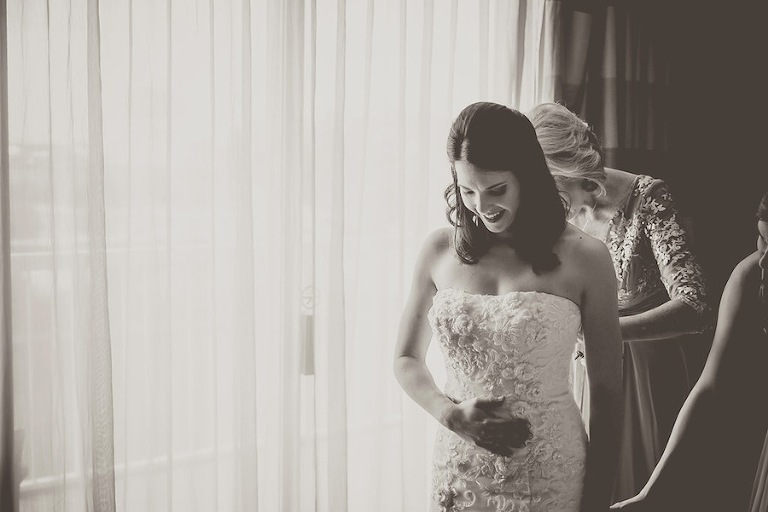 It was nice to take a breath and just share a moment with each other before the ceremony,” Christen reminisced. I was looking for a photographer who captured each individual moment and took quality photographs. Kristen was easy going and really listened to what I was looking for in quality photos. Her shooting style was non-traditional. Which vendors exceeded your expectations? The Tampa Club’s staff was very attentive to everyone’s needs and the food was delicious! Our theme was a mixture of a romantic and vintage. We wanted to incorporate the time of the year, which happened to be the first day of spring, as well as the atmosphere of the venue. My colors were pastel green, petal pink and white. I chose those particular colors because they have a soft, romantic look. 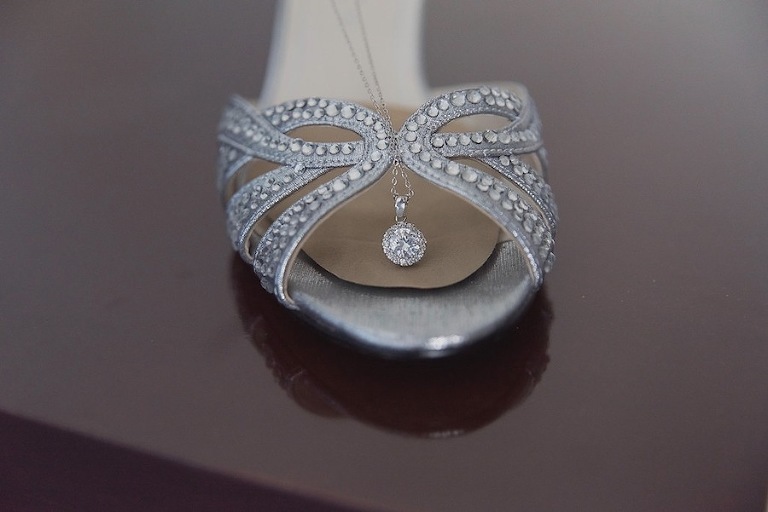 What advice would you give other Tampa Bay brides? Start looking for venues first. Once you have your venue picked out, it sets the tone for everything else.